How do dinosaurs fit with the Bible’s history? They certainly existed—their fossil remains are found on every continent. And ancient historical records, including the Bible, chronicle human encounters with large reptiles whose descriptions best match dinosaurs. 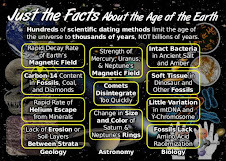 Could it be that these records show that dinosaurs and humans shared the earth at one time rather than living millions of years apart as evolutionary myth proclaims? Dinosaurs certainly appear to be extinct now. 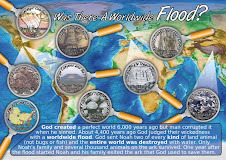 Those that lived at the time of Noah’s globe-covering Flood drowned or suffocated (except those on board the Ark), as did all land-dwelling creatures with nostrils, according to Genesis 7:22. Fast-moving Flood mud quickly buried some of those outside the Ark. The mud layers covered the creatures’ dead bodies so deeply that scavengers couldn’t reach them, and the mud dried soon enough to preserve their remains as fossils faster than their carcasses could decay. Most, if not all, dinosaur fossil layers also contain fossil water creatures like fish and clams, and this fits the Flood explanation for their demise. 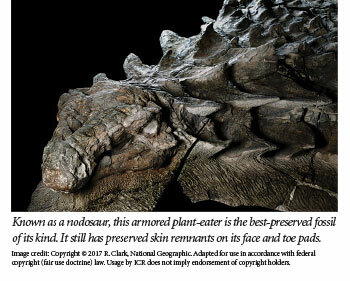 Although researchers have named hundreds of dinosaur species, all of them belong to only about 60 distinct families. These roughly equal the basic dinosaur kinds. That means Noah and his family only had to manage around 120 individual dinosaurs on the Ark. Could they all fit on board a vessel with the dimensions from Genesis 6? No matter how large some dinosaurs grew, the largest dinosaur egg wasn’t much bigger than a football. Even the Argentinosaurus, which could grow into a 120-foot-long monster, could have fit on the Ark if a younger and much smaller representative boarded the vessel. In contrast, many dinosaurs were small even when fully grown. For example, the compsognathids stood about as tall as a turkey. The average dinosaur size was about the same as a bison. One hundred-twenty bison would require a mere corner of one of the Ark’s three spacious decks. We can infer from the reliable Genesis record that the descendants of the dinosaurs preserved on the Ark traveled from the Middle East to places around the globe. This makes sense when considering the unique post-Flood climate. The Ice Age occurred right after, and because of, the Genesis Flood. At that time the Middle East was tropical and regularly watered by heavy rains. This set up suitable and reachable environments for dinosaurs and other tropical creatures to fill. 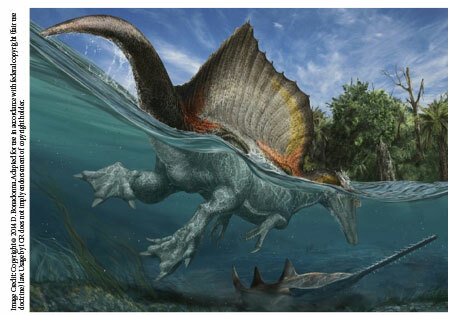 Various clues—such as dinosaur fossils buried alongside tropical plant fossils and the swampy setting that God describes for behemoth in Job 40—indicate many dinosaurs lived in very wet habitats. This worldwide dinosaur migration happened only thousands of years ago. Adding the Bible’s time-stamped events from the fall of Jerusalem in 587 B.C. back to the Flood yields a date for the Flood either near 3168 or 2518 B.C., depending on manuscript variations.1 How long did dinosaurs live after the Flood, and why are they not living today? Although creatures like dinosaurs scattered across Earth’s surface after the Flood, the first few generations of people determined to rebel against God’s command to fill the earth. Instead, they built a tower in Babel and remained in its growing city. In response, God supernaturally compelled them to disperse by confounding their languages. When families eventually migrated to far-flung places, they encountered the dinosaurs that had been there for a few centuries. Writings, depictions, and legends from people groups across the globe memorialized many of those encounters. As humans filled the post-Flood earth, dinosaur numbers would have dwindled due to hunting and loss of habitat as the Ice Age began to wane. 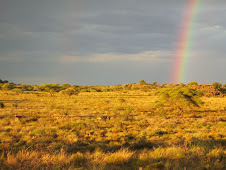 The changing climate alone may have ultimately rendered the earth inhospitable to many of these creatures, eventually leading to their extinction. Even so, dinosaurs must have been living at least within the last several centuries, judging by the many tales of human encounters with them. People groups that did not maintain written records nevertheless retain oral traditions of dragon encounters. They describe the dragons’ habitats and habits and provide specific names for the dragons and the long-dead heroes who vanquished them. Towns, hillsides, and ponds across Europe still have old dragon names—such as Drachenfels Castle and the town of Worms in Germany, Grindelwald in Switzerland, Dragon-hoard (near Garsington), plus the Peak District’s Grindleford in England, and many others. But even more evidence shows that early peoples encountered dinosaurs. Carvings, sculptures, bas reliefs, paintings, mosaics, tapestries, sculptures, pictographs, and petroglyphs all over the world depict dragons, and many of them look like specific dinosaurs. Some of the telling features that help identify these images as dinosaurian include horns, spiky skin flaps along the spine called dermal frills, long tails, long necks, large teeth, and, perhaps most importantly, legs that went straight down from the body. Today’s walking reptiles like crocodiles and lizards have legs that extend out from the sides of the body, then angle down to the ground at the elbows or knees. Dinosaur reptiles’ legs extended down, just as dozens of genuine, ancient depictions show. Evolutionists assert that such dinosaur-looking artifacts are fakes. However, this objection doesn’t result from a rigorous analysis of the data. Instead, it stems from an argument that goes like this: “Dinosaurs died millions of years before man evolved, making it impossible for ancient men to know what dinosaurs looked like. Therefore, this artifact must be a fraud.” This kind of argument takes as true the very evolutionary history that the artifacts challenge. Ignoring evidence often leads to wrong conclusions. The late cosmologist and atheist Carl Sagan considered the historical evidence for dragons a serious enough threat to evolutionary history that he tried to explain them in his 1977 book The Dragons of Eden. In it, he speculated that unknown human ancestor primates may have encountered dinosaurs millions of years ago. Supposedly, the “memories” of those terrifying encounters so deeply traumatized those primates that they left indelible, heritable stamps in their genes. Eons later, ancient ape-like human descendants drew dinosaur look-alike pictures from those inherited memories. But no scientific evidence whatsoever suggests that memories can be genetically inherited! Knowing this, many scientists at the time shunned Sagan’s unscientific speculation. But it is equally unscientific for those scientists to assert that myriad dragon legends are all fraudulent without even investigating the historical evidence. If the Bible is correct that representatives of all land-dwelling, air-breathing creatures were on the Ark, and if it is correct in describing an Ice Age dinosaur in the book of Job, then it makes sense to infer that people encountered (and rid themselves of) the threatening and fearsome reptiles during the centuries after the Flood. They left us dragon legends—written, spoken, painted, and carved—from virtually every ancient culture. Genuine dinosaur encounters best explain the sheer number of dragon descriptions and their similarities across space and time. Thomas, B. 2017. Two date range options for Noah’s Flood. Journal of Creation. 31 (1): 120-127. Thomas, B. 2010. Oblivious to the obvious: dragons lived with American Indians. A review of Fossil Legends of the First Americans by Adrienne Mayor. Journal of Creation. 24 (1): 32-34. 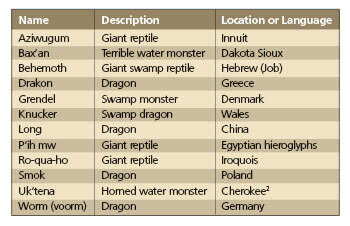 List of dragons in mythology and folklore. Wikipedia. Accessed August 1, 2012. Flavius Philostratus (c170-c247 A.D.). 1912. The Life of Apollonius of Tyana, volume I, book III. F. C. Conybeare, trans. New York: Macmillan Co., 243-247. Caxton, W. M. 1484. Aesop. Folio 138. Cited in Cooper, W. 1995. After the Flood. Chichester, UK: New Wine Press. Adapted from “Dinosaurs and Dragon Legends” in Creation Basics & Beyond: An In-Depth Look at Science, Origins, and Evolution. * Mr. Thomas is Science Writer at the Institute for Creation Research and earned his M.S. in biotechnology from Stephen F. Austin State University. For generations, a large portion of Americans have believed that mankind began only thousands of years ago, not millions. A 2013 poll indicated that this next generation is finally beginning to depart from their forefathers’ creation-leaning beliefs.1 New Gallup results confirm this anti-Bible trend. Meanwhile, rhetoric about this trend reveals confusion over key issues. The 2017 Gallup poll found that only 37 percent of Americans hold creationist views of human origins, down from 46 percent in 2012.2,3 This trend may reflect a change in generations, as younger Americans who are convinced of human evolution replace their more Bible-minded forebears. What does this trend mean? This third way leads nowhere, since by definition evolution excludes the divine. Evolutionists also often misunderstand the meaning of science. They equate science with evolution. Real science investigates repeatable, ongoing processes and answers present-day questions like “What causes gravity?” The kind of evolution that supposedly transformed apes into men does not happen today, so it inhabits the past. Evolution is not science at all. The core disagreement is about history. Science cannot determine history, despite secular scientists’ confident claims about what they never witnessed, let alone measured. The supposedly “overwhelming scientific evidence for evolution” is a total sham, just like the false choice between “faith” and “science.” If this next generation could just taste the basics of faith, science, and creation, instead of getting fed an evolution-only diet, then surely many more would side with Genesis—the Words of the One who created mankind. Thomas, B., and M. Stamp. Urgency & Opportunity: Poll Shows Evolving Trends. Creation Science Update. Posted on ICR.org July 29, 2013. Swift, A. In US, Belief in Creationist View of Humans at New Low. Gallup. Posted on gallup.com May 22, 2017. Newport, F. In U.S., 46% Hold Creationist View of Human Origins. Gallup. Posted on gallup.com June 1, 2012. Krattenmaker, T. Creationism support is at a new low. The reason should give us hope. USA Today. Posted on usatoday.com July 13, 2017, accessed July 14, 2017. Acts 1:3. See also the book of this same title. Thomas, B. 2009. ATP synthase: majestic molecular machine made by a mastermind. Creation. 31(4):21–23. *Mr. Thomas is Science Writer at the Institute for Creation Research and earned his M.S. in biotechnology from Stephen F. Austin State University. Article posted on July 24, 2017. Researchers shined a laser light on fossil leaves and found some surprising results. Instead of mere impressions of leaves, the fossils turned out to contain original molecules—persisting after millions of supposed years. Research led by Lund University in Sweden used FTIR to find original molecular bonds still intact inside fossilized leaf wax. The technique detects stretches in specific chemical bonds. They scanned leaves from living Araucaria trees—tropical conifers that today grow in New Guinea, Australia, and Argentina—and from fossil Araucaria leaves locked in Cretaceous stone. Only the living leaves had FTIR signatures indicating complex sugars like cellulose, but surprisingly the technique revealed the same alkanes, alkenes, and carbon-based ring structures in both living and fossil Araucaria. Alkenes have double bonds. These tense bonds react more readily with other chemicals than many single bonds. They have not yet reached what chemists call thermodynamic stability—when they lose their potential to react. How can so much chemical potential persist in leaf molecules that are supposedly millions of years old? Lund University News wrote, “The [waxy] membrane has been preserved in the fossil leaves, some of which are 200 million-years-old.”2 This age assignment clearly conflicts with short-lived original plant chemical bonds. The results from the fossil leaves far exceeded our expectations, not only were they full of organic molecules, they also grouped according to well-established botanical relationships, based on DNA analysis of living plants i.e. Ginkgoes in one group, conifers in another. So they didn’t expect to find original organic molecules after supposed millions of years, nor did they expect to find those same molecules in similar plant kinds. It was as though millions of years of evolution never changed these plants’ basic forms or even their basic molecules. Could ginkgos remain ginkgos and Araucaria remain Araucaria because they have been reproducing faithfully within separately created kinds from the beginning of creation? Vajda, V. 2017. Molecular signatures of fossil leaves provide unexpected new evidence for extinct plant relationships. 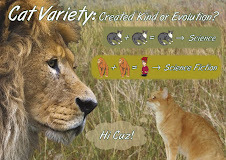 Nature: Ecology & Evolution. DOI: 10.1038/s41559-017-0224-5. Through fossil leaves, a step towards Jurassic Park. Lund University News. Posted on lunduniversity.lu.se July 4, 2017, accessed July 24, 2017. "And the earth brought forth grass, the herb that yields seed according to its kind, and the tree that yields fruit, whose seed is in itself according to its kind." Article posted on August 3, 2017.